This month’s challenge is a nice and easy one. Just think what’s your favourite thing. Would you like to share it with us? 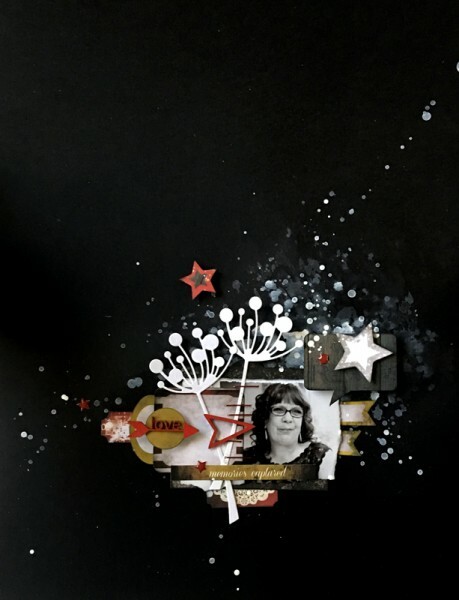 The theme of this challenge is “My Favourite Things” so now You have a chance to use one of your favourite things, Scrapbooking to show us your other interests. We can’t wait to see what will you create this month. 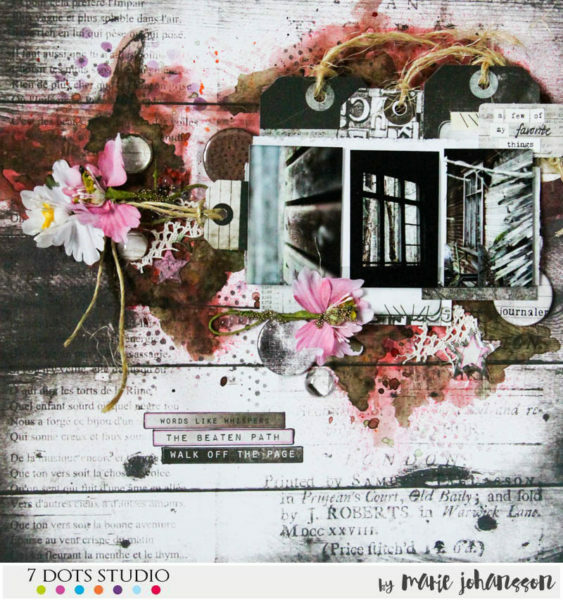 I made a mixed media piece, with all my favourite art supplies. It is called ‘believe’ and it is made to remind myself to never give up, be myself and stay strong. My favourite flowers are daisies. I believe that it is because they remind me the name of my great-grandmother as well as her soft and strong personality at the same time. I chose dark background colour and placed my word stickers on the edges to better expose this photo of “my favourites”. My favourite things in the life are the sea, stars, skies, sun, summer and relaxing at the beach. 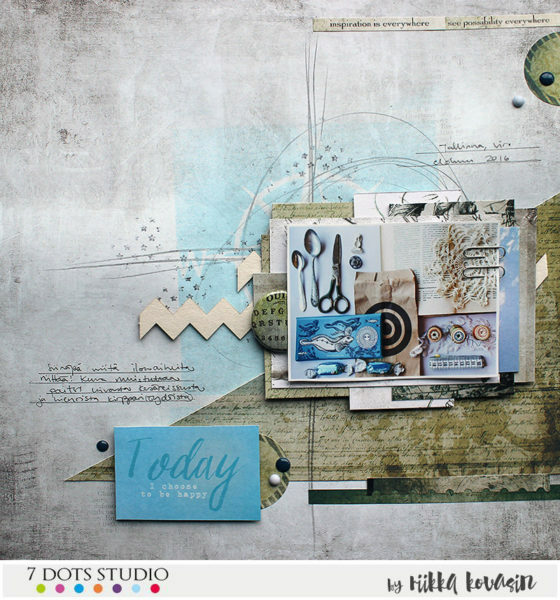 Also I love-love-love 7 Dots Studio paper from 9th Wave Collection, feathers, chipboard and blue colour. So this layout is my way to escape from reality and go to my dreams. 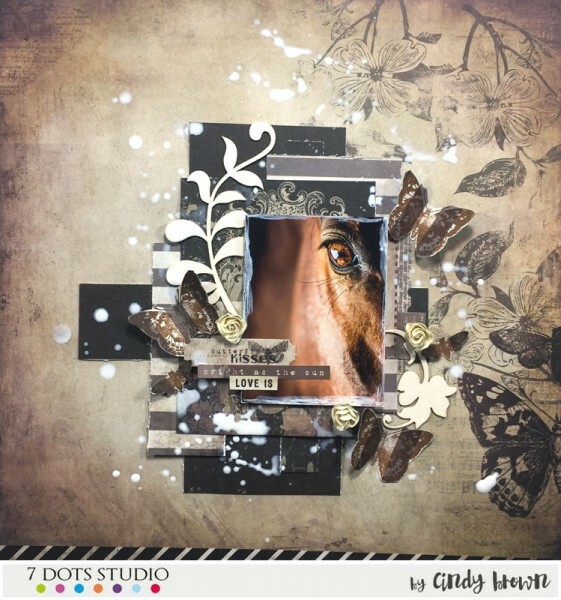 I combined my favourite things from the life and favourite scrap materials. And I love how it looks together! 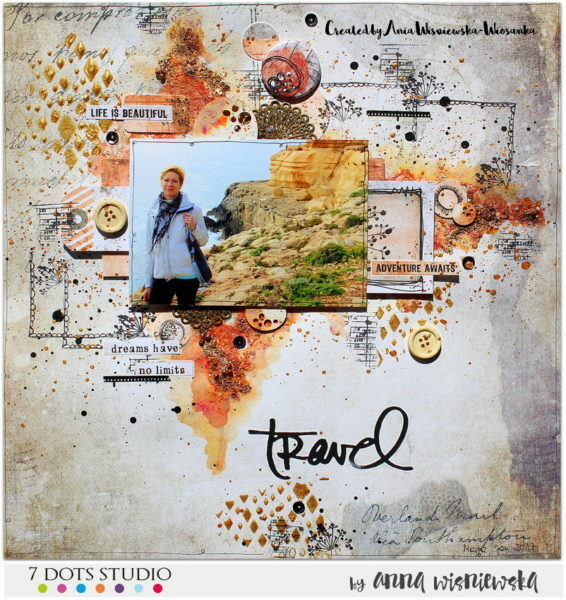 For this challenge has created a layout of one of her people! Her cousin/stepsister. She doesn’t get to see her as much as we would like but she has photos and keeps in touch with her via the internet. Picking what to do for this topic was not as obvious as you could imagine. There are a lot of things that are my favourites – my family, food, wine, exercise and much more. But one of the things I have come to appreciate the past years is the area where I live. Even though I have lived here all my life I constantly find new places to explore – many of them filled with great beauty and mystery. The place on the pictures is an old mill – I have been running past it for more than 20 years without even knowing it was there – my husband showed it to me and I was totally amazed. 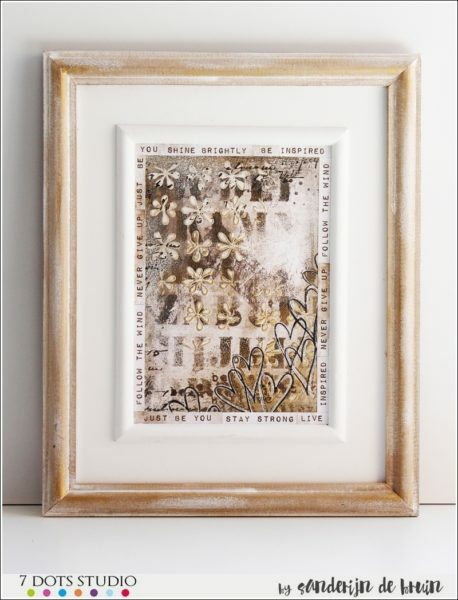 I love how the composition with the photos and papers & embellishments from the Writer´s Block Collection turned out. Travelling is one of my favourite activities. When I travel, when I discover new places and cultures – I feel happy, I feel alive! The world is so beautiful, there are so many places to explore! I’m afraid than one life is not enough to see them all. I documented some of my favorite pieces from last summer’s trip to Tallinn. We visited a recycling center while in there and boy did I do great finds there! Crocheted doilies, old scissors and spoons, books with Cyrillic letters… I was really excited! 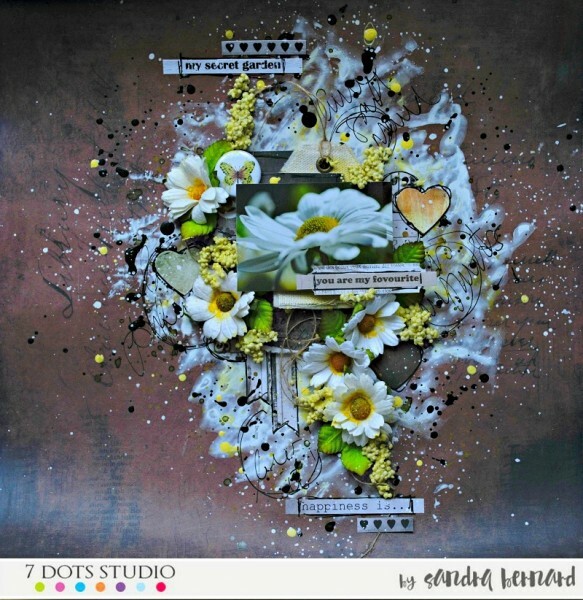 I have had this picture in my “scrap these” pile for a while and when I read the topic, I knew that now was the time to make a page out of it! I used a combination of the old and the new in my page, mimicking the colors in the picture. Some old paper hues mixed with fresh, clean blue. 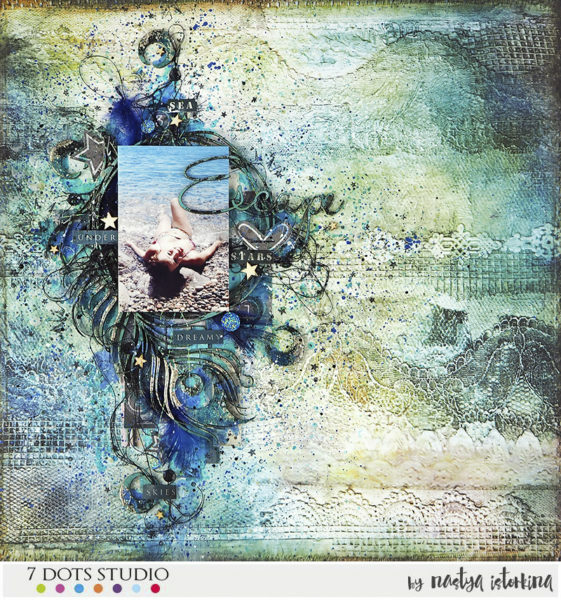 In this creation, I decided to make a simple page.nI love using the 7 Dots Studio papers it is of exceptional quality. As always the stickers are amazing as well. I love horses and eyes such a good combo. Enjoy the video. 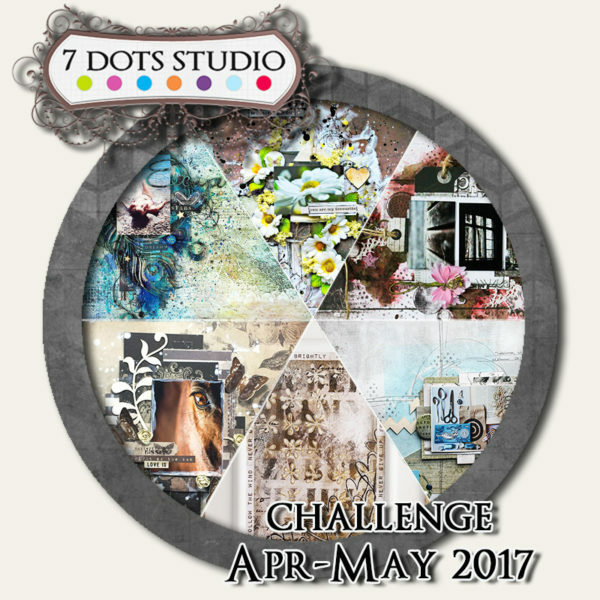 Challenge is open till May, 19th midnight CET. We announce winners by the end of the May.